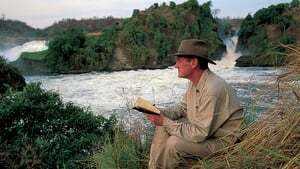 Michael Palin's Hemingway Adventure is a 1999 BBC television documentary presented by Michael Palin. It records Palin's travels as he visited many sites where Ernest Hemingway had been. The sites include Spain, Chicago, Paris, Italy, Africa, Key West, Cuba, and Idaho. After the trip was over Michael Palin wrote a book about the journey and his experiences. This book contains both Palin's text and many pictures by Basil Pao, the stills photographer who was on the team.